← Expose and Fight GEA 12.1! The war over Ontario wind turbines is shifting to the courts, with property values brandished as the main weapon by opponents of the multi-billion-dollar provincial push to develop wind farms. Toronto lawyer Eric Gillespie said he has lawsuits in the works from 10 different parts of Ontario and is in talks with at least three other groups in its southwest. “That number is growing quite rapidly,” Gillespie said Thursday. Lawsuits have already been launched in Chatham-Kent, LaSalle, Prince Edward County, Clearview/Creemore and the Stayner area. Another lawsuit is in the works involving wind turbines in the Port Dover area. “Property devaluation is clearly becoming a major concern right across Ontario,” said Gillespie. The shift to fighting in the courts follows a failed campaign by anti-wind forces in last year’s Ontario’s election — the McGuinty Liberals eked out a minority government, despite losing rural seats where opposition is strongest — to stop wind-turbine development. 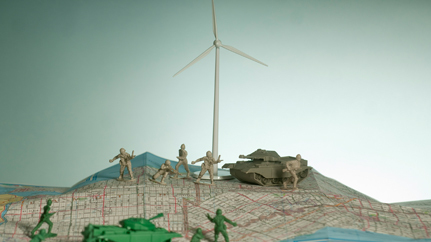 Southwestern Ontario, home to Ontario’s largest wind projects, is one of the key battlegrounds. While wind opponents helped to defeat key Liberal candidates, including environment minister John Wilkinson in Perth-Wellington and agriculture minister Carol Mitchell in Huron-Bruce, they fell short of their ultimate goal — to bring down the McGuinty government. The new legal strategy is one that pits rural landowner against rural landowner. The lawsuits not only seek millions of dollars in damages from the large corporate wind farm developers who have deep pockets to fight legal battles, but also from the farm owners who have leased out their land for the turbines. How deep that chill goes will largely depend on the early outcome of the legal cases, said Zavitz, noting wind opponents have had little litigation success so far. Most landowners want to do the right thing, he said. The assertion that wind turbines lower property values is hotly contested. A recent study by London appraiser Ben Lansink, who’s provided evaluations for turbine opponents, found land values near turbines in the Shelburne and Norfolk County area fell by as much as 58% and averaged more than 30%. That study, which traced the sale of individual properties, has been dismissed by Friends of Wind Ontario and Ontario Highlands Friends of Wind Power. “While he may turn up some isolated examples of property devaluation, Lansink has failed to show that wind turbines have widespread negative impact on property values,” said an analysis of Lansink’s study released by Friends of Wind Power. It may take a judge and jury to finally decide the issue. — Some owners argue turbines have cut their property values or made them impossible to sell. — They want damages from wind farm developers and landowners with turbines. — Turbine proponents reject the reduced property value argument. 2003: Province had 10 wind turbines. More: Another 1,000 given early approval. Future: Estimates of 6,500, with all proposals and plans. Posted on November 5, 2012, in Government, Green Energy Act, London Free Press, Property value, Take Action, Take it to court. Bookmark the permalink. Leave a comment.